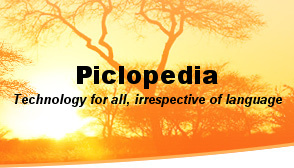 piclopedia.org - Tools to Plans: Let's Get Started! In order to get started, look at the book here or here, or jump to the Plans Links page to find links to other plans that you might want to translate. Read the instructions and study the book's diagram(s), and then draw a set of instructions and plans that explain how to build the tool. Use IKEA-style communication, i.e., pictures and graphics but no words. It may be a challenge, but at the end you will have created something that millions of people can "read" and understand! The old-looking drawings scattered around this site are copied straight out of that book. Find them in the table of contents and you'll find the original drawings and descriptions. But don't be limited to them. Vintage Projects, for instance, is a website full of interesting old tools good for loads of inspiration. When you finish drawing, please scan or convert your drawing into a PDF file and email it to me and I will upload it to a page of completed plans on this site. I may make suggestions for improvement, but in the spirit of open-source teaming will upload your plans irrespective. If you did the drawing using drawing software, please send that file to me as a document that is readable in either Google SketchUp or AutoSketch (see below for a list of file types). I'll put those files on the Piclopedia.Ning site for future uploading to this site; for now the finished plans here will be PDF only. If you want to edit the plans others have drawn, you will have to convert the PDFs here to a form you can use and then convert them back as described above (unless you edit the original files saved on the Ning site).